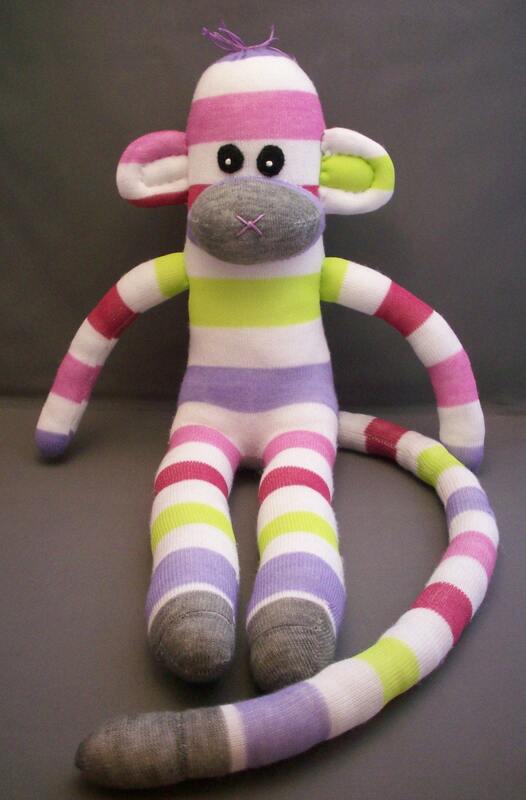 You can try, but you can't deny it... sock monkeys are so much fun! And if you're in the market for a sock monkey of your own, My Mommy's Place is the place to go! With a simply irresistible selection of colors and styles, this shop's not one to pass up! I recently purchased a little pink guy (yes, he's a boy) and was wowed by the quality and craftsmanship! Fantastic shop with tons of potential! 2 Response to "Simple Striped Sock Monkey by My Mommy's Place"
Wow! Thank you so much for the awesome write up! Yay!!! Are you a LAUNDRY Featured Artist? Add a special badge to your page! Not Featured but want to be? My name is Stella, I'm 24, a professional graphic designer, a thinker, an animal lover, a dork, a cookie monster, an artist, a terrible singer, a doggie mom, a Bostonian, a girl... amongst other things.